The JewelBox 70T and 90T Systems - Can accommodate up to an 18" x 16" panel and superb for use in production or process development. The JewelBox Oversize - Includes a larger x-ray cabinet to accommodate a 24" x 22" panel while maintaining a compact footprint. 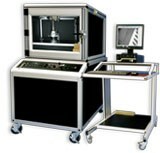 The Jewel Box X-ray Systems offer up to 500x geometric and 2,000x electronic magnification and are available with 5, 10 or 30 micron focal spot x-ray tubes. Also available, refurbished and demo systems at reduced prices. CLICK HERE for more information. Click Here to see our Jewel Box Product Video. 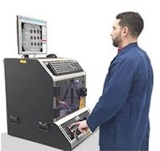 Glenbrook Technologies has over 2,500 installations in 55 countries throughout the world. We have offices in the US, Hong Kong, China and Germany.